Those with a strong focus on nutrition, know just how important their snacking habits are. It can quite literally make or break your energy levels throughout the day. I think we all know how incredibly tempting it is to graze on deliciously flavored potato chips or sweet treats! And we all know what that means! You’re left reaching for more of the same as it barely touches the edges of your belly. 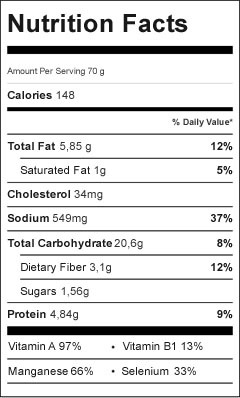 While I don’t agree on completely cutting out all the known junk foods, I am big on creating nutritionally dense snacks, that help fill the gaps between main meals. Half an hour of time spent in the kitchen, can see you saving so much time and money throughout the rest of the week, and keep you on top of your health goals. Most grab-and-go supermarket snacks are full of nasty additive and preservatives. 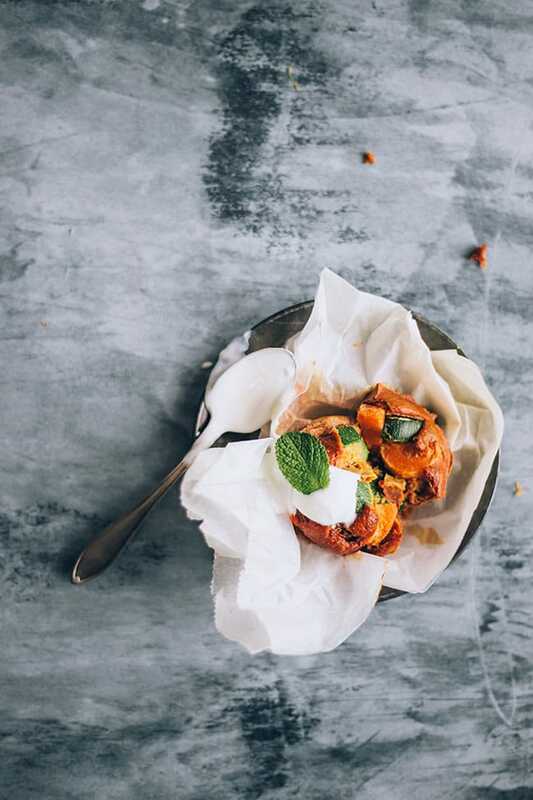 Most kinds of muffins will commonly use refined white flour as a base, so it’s nice to know there are plenty of other healthier versions available. And whole wheat flour is one of them. All the nutrients are kept in whole throughout the manufacturing process, making it a great source of manganese, B Vitamins, zinc and fiber. In both a vegan and vegetarian diet, it’s important to eat plenty of foods that are rich in B vitamins, as you don’t come across them too often from plant-based foods. The star ingredients of this recipe are of course zucchini and carrots, which feature as some of my favorite vegetables. Zucchini is a great source of vitamin C which helps to boost immunity, improve complexion and collagen levels, and repair skin tissue. Both carrots and zucchini are good sources of vitamin B6, which I’ve made a bit of a focus in this recipe (along with the levels found in wheat flour). One cup of chopped carrots provide well over 100% of your recommended daily intake (RDI) of vitamin A, which is a powerful antioxidant. Carrots are also a good source of biotin and vitamin K.
Adding in spinach will also boost your intake of vitamin K, with close to 1000% of your RDI found in that single cup! Spinach contains very high levels of vitamin A, manganese and folate (B9). 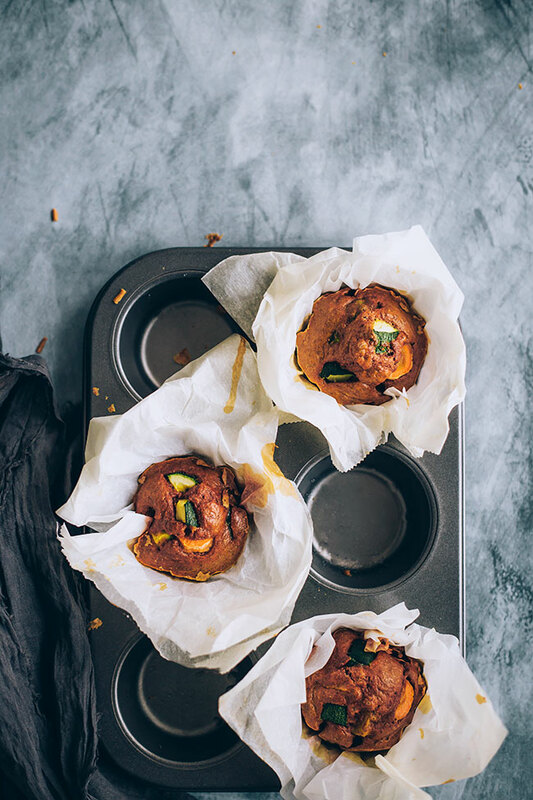 All B vitamins help to convert food into energy, which is another reason why these zucchini carrot muffins are an excellent snack choice. 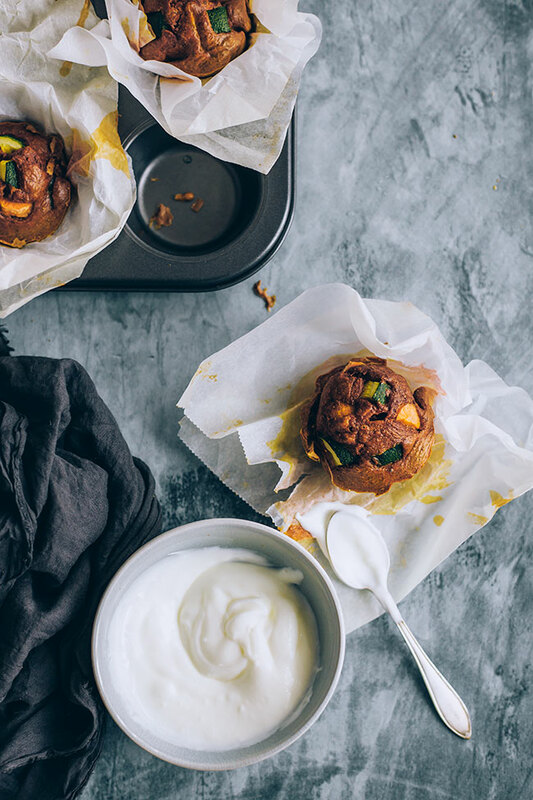 Packed with lovely flavors and lots of nutrients, these muffins are the perfect way to hide the vegetables your kids never want to eat. Line a baking sheet with parchment paper and add the vegetables (except spinach). Drizzle with a little olive oil, add salt, dried mint, red chili flakes, curry powder, and toss to coat evenly. While the veggies are cooking, prepare the muffin batter. In a large bowl mix the flour with nutritional yeast, turmeric and baking soda. Add the beaten eggs, oil, yogurt and almond milk, and mix to obtain a smooth batter. Remove the vegetables from the oven and transfer into the bowl, together with the spinach, and whisk to combine. Divide the batter into the muffin tins and bake for 20 minutes. Remove from tins, add a yogurt dollop on top and serve warm. Hi! These look delicious! I was wondering if you had tried freezing them, and how did they come out? I didn’t try freezing these, because we ate them all during the weekend. If you tried freezing them, let me know how they turned out! any replacement for whole wheat flour? You can use buckwheat flour instead.